Questions at the heart of the Tomosynthesis Mammographic Imaging Screening Trial (TMIST) were highlighted in recent media coverage. 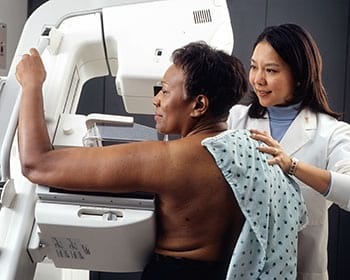 In reporting the science underlying the study, an Associated Press article picked up by The Washington Post tracked through such broad inquiries as: "A better mammogram?" "Who needs a mammogram?" and "What about 3-D mammograms?" The AP also posted a video, "Huge Study Puts 3-D Mammogram to the Test." Worta McCaskill-Stevens, MD, NCORP director was quoted in a separate United Press International article noting, "Nearly 50 million screening mammograms occur each year in the United States, yet it has been decades since a large-scale randomized trial of mammography has been done. The evolution of mammography technology provides us with an opportunity to fill in the gaps in our knowledge about two available breast cancer screening tests."